From all the VW Group`s members, the Jetta model was perhaps the most compact ride the German carmaker has ever built. Always imposing, accurate, with a high-end attitude, it has always managed to impress us from every aspect. Now, at the seventh-generation, the all-new Jetta demonstrates again that it has everything it takes to become more popular than ever. Following the carmaker`s new design language, it looks more imposing, wider, more spectacular and certainly one of the best family cars the Group has ever created in the segment. And what better way to express all these qualities and facts than watching the impressive review that KBB has recently created in the video below. Just watch it, but not before we add some important characteristics of this gorgeous piece of German engineering. The way it looks and feels, the new Jetta has grown in size, allowing for more space inside, especially for the rear passengers. It also gained a new engine, smaller yet powerful and fuel efficient. Technologically, the new 2019 VW Jetta borrows the company`s latest gadgetries, also seen on other new high-end models. For instance, the dashboard now has another layout with an easy-to-use information system with plenty of connectivity features. It also uses a 6.5-inch display in the entry-level variants, while the top of the line received an eight-inch display. However, the car`s practicality can be seen under the hood, coming equipped with a small engine that proves to be more fuel efficient. We are dealing here with a 1.4-liter TSI pot, which develops 147 horsepower and 249 Nm of torque. It can use a six-speed manual as standard or a high-performance eight-speed automatic transmission as optional. With that in mind, it can help you to commute safely burning out just 30 mpg in the city and 40 mpg on the highway. You can now sit back and enjoy the video review created by KBB below! 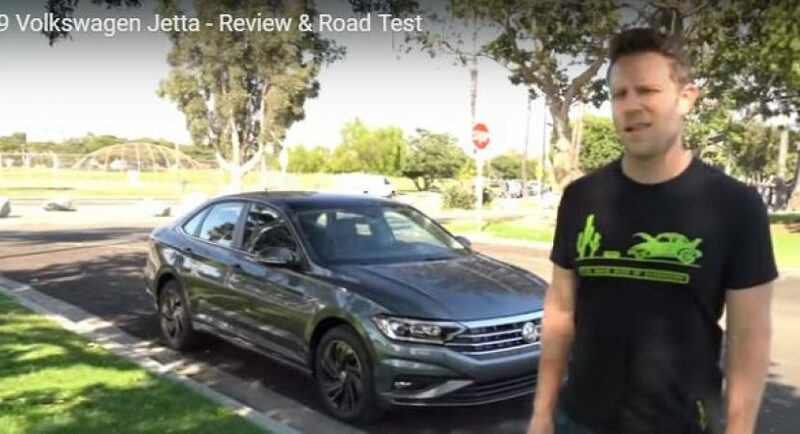 Also, don’t forget to tell us what you think about the new 2019 Jetta!